Today morning at around 10:20 am, moderate intensity earthquake had trembled Kashmir, Assam and nearby areas of Bengal and Bihar. 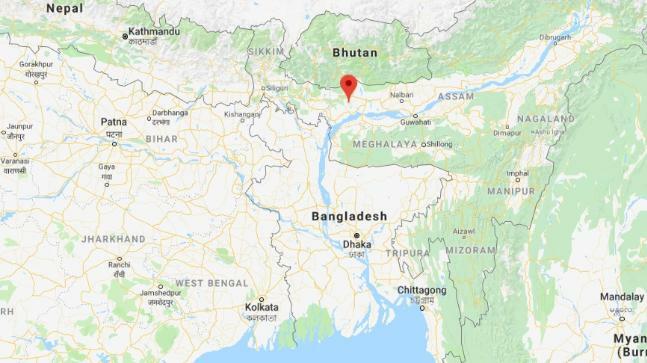 As per Indian Meteorological Department, a quake occurred in Assam at a depth of 13 km with its epicenter in Kokrajhar district at a strong magnitude of 5.5. People in parts of Bihar and West Bengal, including Cooch Behar, Jalpaiguri, Alipirduar and Darjeeling also felt the shocking movements. Tremors of the earthquake were also felt by the people of Northeast India, in regions of Sikkim, Manipur, Nagaland, Meghalaya and Arunachal Pradesh. The tremors were felt for some 15-20 minutes, bringing people out of their property. There are no reports of any damage to life or property. It was mild tremors, bringing people to the road, vacating their properties but nothing so intense or serious has been reported so far. Today morning itself, before this calamity a moderate intensity earthquake of magnitude 4.6 hit Jammu and Kashmir at 5:15 am. The epicenter of the quake was at a depth of 174 km at latitude f 35.6 degrees North and Longitude of 76.3 degrees East, at a distance of 199 km north of Kargil town in Ladakh. Both the tremors felt were for a few seconds but nothing damage has been reported so far.